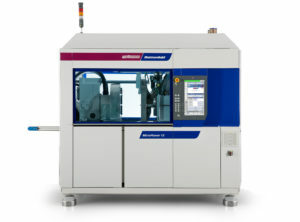 Asia is one of the most important markets for the WITTMANN group. In addition to its own sales organization in China, the Wittmann group has also been operating local production facilities for more than 10 years, primarily for the for the Asian market. At its plant in Kunshan it produces robots, temperature controllers, material loaders and granulators. 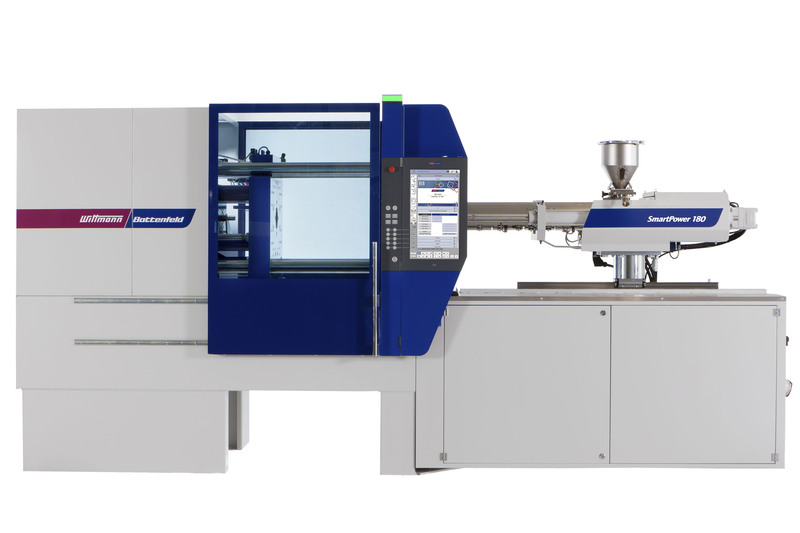 At this year‘s Chinaplas in Shanghai, WITTMANN BATTENFELD will present two machines from its PowerSeries. These are a servo-hydraulic machine from the SmartPower series and a MicroPower COMBIMOULD. Both machines are equipped with the new UNILOG B8 control system running under Windows® 10 IoT which, compared to its predecessor version, offers numerous additional functions and even greater convenience in operation. On a 2-component machine from the MicroPower Series, specially designed for injection molding micro parts, a MicroPower 15/10H/10H, a sensor component for a medical measuring instrument will be produced with a 4-cavity mold supplied by Wittner, Austria. The razor-thin, spherical membrane injection-molded from TPE serves to measure a specific pressure inside the measuring device. The parts will be processed in a clean-room environment which is created by using a laminar flow box inside the machine. They will be removed by a W8VS4 SCARA robot from WITTMANN specially designed for this machine, inspected by a camera system integrated in the machine and then deposited on a conveyor belt. The second machine on display will be a SmartPower. The machines from the SmartPower series are equipped with a highly efficient servo-hydraulic drive as standard and use the available deceleration energy via KERS (kinetic energy recovery system) for barrel heating. This ensures an optimal level of energy efficiency. 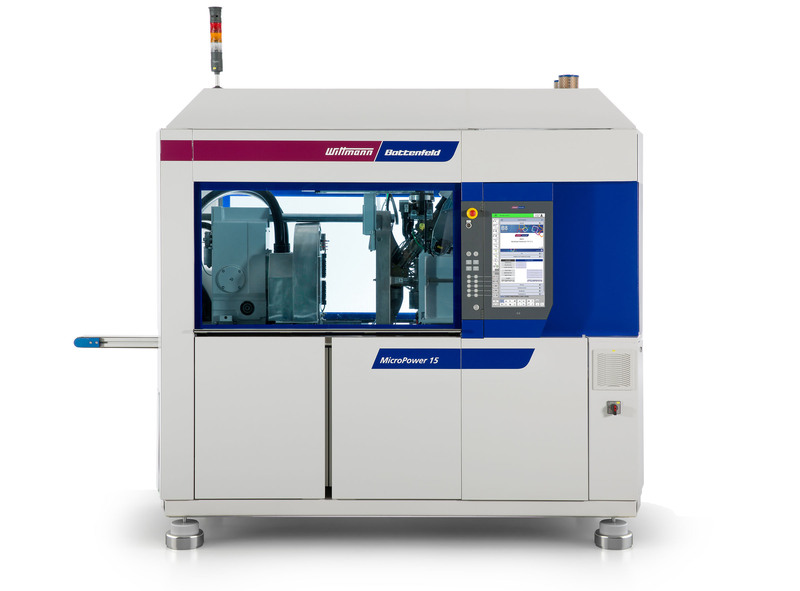 On a SmartPower 180/750, a diffusion lens will be manufactured from PC with a single-cavity lens supplied by SAFEPLAST GmbH, Austria. The parts will be removed and deposited by a locally produced WITTMANN robot.